Piguazhang is a style of Chinese martial arts which is traditionally practiced alongside Bajiquan. It is suggested that the two systems where once one of the same style (brother (Yang) and sister (Yin). Whist it could be said that Bajiquan is a direct straight and explosive style, Piguazhang, emphasis’s quick, coiling, wrapping, soft, hard, splitting and chopping techniques as well as developing a quick a flexible mind. It is said that Piguazhang hand techniques are like “rain falling in a storm” and “the body and feet like a coiling dragon” turning around its prey. 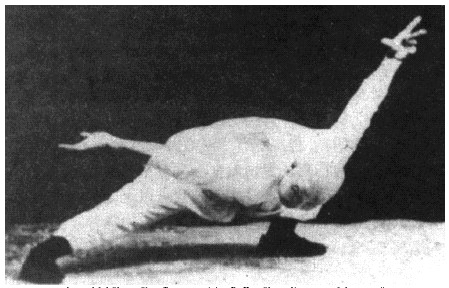 Wudang PiguaZhang system was passed on by Great Grandmaster Long Jin Ju, as practiced for many hundreds of years in Wudang mountain Temples. Utilising the Taoist Theory of YiJing, Bagua, Taji, Wu Xin and Six harmonies Principles, PiguaZhang is a unique yet complementary style to other forms of Chinese exercise ideal for health protection and longevity.